This film; based on the true story of reporter Gary Webb; exposes the machinations which take place in our society; often by our own government; to stifle the truth even as they accelerate the decline of that society in some of the most callous and insidious ways. Such is the history of the crack epidemic which began with the Reagan Administration taking an end run around the Boland Amendment to arm the Contras in Nicaragua in the 1980’s. Though the actual events of the story took place in the 1980’s it wasn’t until the 1990’s that Gary Webb was able to piece together all of the events and publicize the story. It was the beginning of an arduous and dangerous road for the young journalist. Although the seeds for the story had been sown in the public’s mind for several years already, he was the first one to go public with the story. And when he did, he incurred the wrath of the Intelligence Community and his own government. The story is a very simple one, the United States; through the operations of the CIA and it’s contacts in the world of organized crime; began to import cocaine in huge amounts to fund the not so secret war against the Nicaraguan government. The money from the cocaine was to be used to fund the Contras; which was the rebel army. Actually, this was nothing new; it had been done before; but never on such a large scale. This is the operation that brought Governor Bill Clinton and Vice President George Bush together in an unholy alliance which later made it possible for Clinton to become President. The transport of the arms and drugs went through the state of Arkansas, with the full knowledge of the Governor. As is often true with any operation of such scope, things quickly got out of hand. When someone discovered that cocaine could be “cooked” with baking soda to form what is known as “crack cocaine”, all hell broke loose on the streets of Los Angeles; most notably in the Compton area, which was decimated by the epidemic. A whole generation was destroyed, along with the economic viability of the area, bringing problems with crime and addiction that persist to this day. The reward for Gary Webb’s efforts was that he was driven to the point of suicide by the government smear campaign launched against him. His sanity was called into question as he was called upon to defend the facts of his story; an impossible task due to the very nature of clandestine operations. They are cloaked in layer upon layer of secrecy and subject to the effects of “sheep dipping” and the use of “cutouts” to throw off chance of real detection. There can only be speculation; and no one goes to jail for “speculating”. Just look at Wall Street. This film delivers on several levels, beginning with the story itself. As we struggle to fight crime; much of which is caused by drug addiction; it is hard to understand the motives of a government which, on one hand, calls for an all-out war on drugs and terror; and then fuels the former with an influx of drugs; all while helping to fund the latter. The casting of the film is also notable. Jeremy Renner plays Gary Webb, the ill-fated reporter. Veteran actors Andy Garcia, Ray Liotta and Tim Blake Nelson are also expertly casted in their roles as some of the faces behind the scenes. 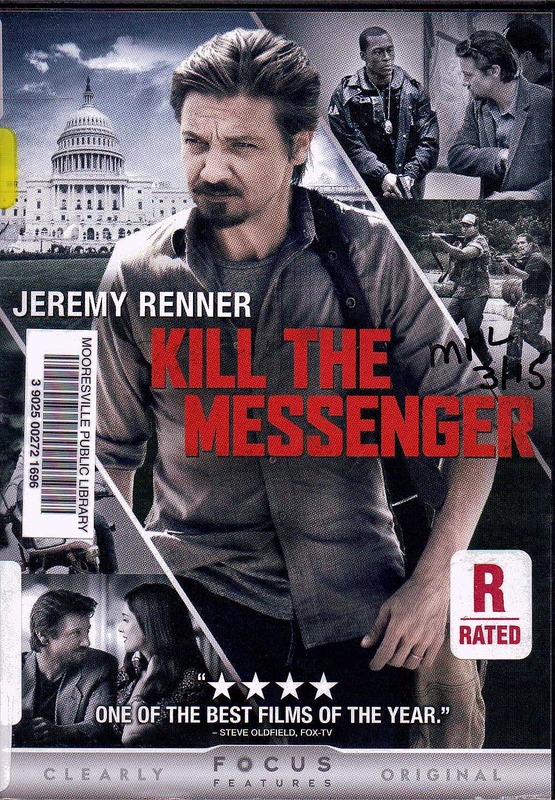 Gary Webb’s “Dark Alliance” articles sparked the book “Kill the Messenger” by Nick Shou which became this film of the same name. Directed tautly by Michael Cuesta it will both inform and infuriate you.